Manchester United head coach Louis van Gaal is delighted to have landed versatile Italy international defender Matteo Darmian from Torino. The 25-year-old has penned a four-year contract at Old Trafford to become the second major signing made by United this summer, with Bayern Munich midfielder Bastian Schweinsteiger poised to become the third. Matteo will be a great addition to the team. And Van Gaal is expecting Darmian to make his mark with United, with the Azzurri star expected to fit in at right-back. Dutchman Van Gaal told the club's official website: "Matteo is a right-sided full-back with the versatility of also being able to play on the left. "He is a strong defender and has the ability to go forward in attacking positions, which is a fantastic attribute to have and much needed in the fast rhythm of the Premier League. Matteo will be a great addition to the team." 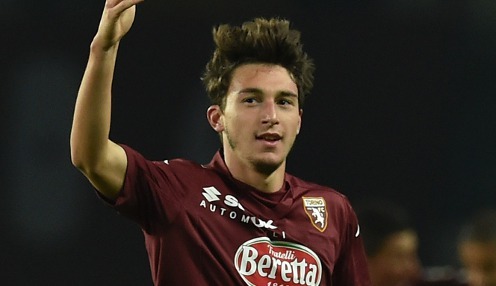 Meanwhile, Darmian is also excited about the new challenge ahead, telling MUTV: "For me it's a great opportunity. I wanted to go there and I don't think twice. I'm so excited and I am very happy to be here at one of the most important clubs in the world." "It's a great opportunity. The team is a competitive team and we all want to play together and do well together. "It's a club with a great history and a lot of victories. I think the team will carry on in that direction of winning trophies." United can be backed at 1/1 to win the Premier League title next season, with Manchester City 1/1 and Arsenal 1/1.